Roof Repair – Do You Need One ? Home/Roof Repair – Do You Need One ? It’s not good to be worried about a roof, or to have attention on roof repairs that may not be strong enough in the next storm. 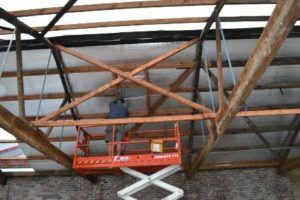 If repairs are not done right, the result could be interior damage to the building and the work may need to be re-done. Most roof repairs are intended to be temporary until a replacement can be done later. But due to financial constraints, a full roof replacement can sometimes get further and further away and repairs can end up required to last a longer-term. As with many things, a repair may be cheaper initially than a full replacement roof, but it can be worthwhile getting quotes for both at the same time. 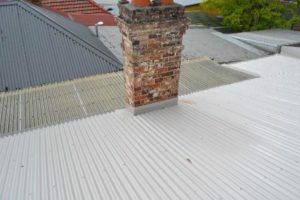 When a roof is being repaired, a really important thing to do ( that is sometimes overlooked ) is to find the exact cause of the leak or damage. A rusted patch of metal may be the result of a runoff starting elsewhere, or a broken tile could be due to structural weakening underneath. So instead of a patch-up job on the damage, locating what has brought about the damage allows that to be corrected, preventing a recurrence of the problem. Finding the cause of damage can sometimes take longer than the actual repair job, but it shouldn’t be neglected as this often leads to an unsuitable solution. All Roofing Services can handle all types of roof repairs and in fact anything to do with your roofing. Give us a call now on 02 8086 2059.